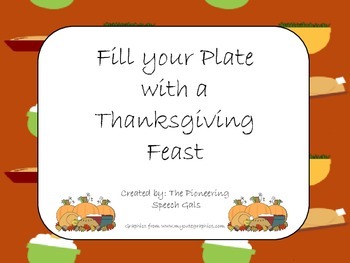 Use this Thanksgiving themed game for reinforcement during drill/practice of skills like sight word drill, articulation drill, answering questions and other tasks that students need motivation to complete. Use with 2 to 4 players. 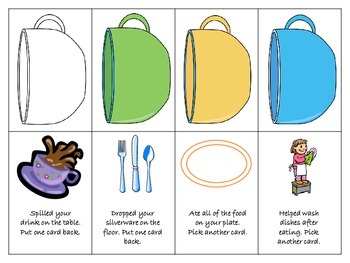 Give each student a game card with the food they need to collect on their plate. 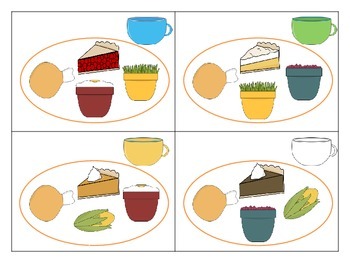 The first player who collects all food items on their plate, wins the game! Watch out for special cards! Directions for play are included along with everything you need to play. 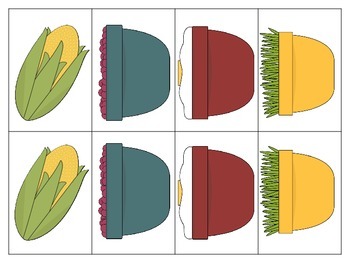 Print, cut and play! Laminate for durability. Happy Thanksgiving!